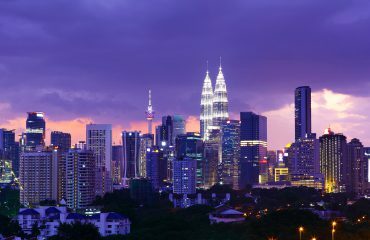 LAST month, SGX-listed equipment manufacturer and engineering services provider UMS Holdings Ltd signed an agreement with a Malaysian-based aerospace metallic component manufacturer All Star Fortress Sdn Bhd (ASF). Under the memorandum of understanding, UMS will be taking up a 10% equity stake in ASF for RM100,000. On top of that, UMS will extend secured convertible loans up to a total of US$7.5mil (RM32.32mil) to ASF for the aerospace part maker to expand its manufacturing capacity. ASF targets to attract RM100mil in investment by 2020 while the aim for its revenue by then is RM350mil. It also expects to hire 1,000 engineers by then. Under the plan, ASF will be relocating to UMS’ Penang facilities from its current two-acre factory in Malacca for better synergies. UMS, a firm with a market cap of S$217mil (RM665mil) headquartered in Singapore with operations in Malaysia and the United States, says the latest collaboration will allow it to further diversify its business, particularly into the aerospace industry, which provides great potential. Its Singapore headquarters is 211,500 sq ft while its Penang factory is 600,000 sq ft. The company is making S$28mil in profit on the back of S$111.3mil in revenue up to end-September. As for ASF, its customers in the aerospace industry include: British automotive and aerospace group GKN, US-based Spirit AeroSyatems, US-based UTC Aerospace and Main Market-listed SAM Engineering Bhd. This is just one of the tie-ups that marks the underlying growth of the aerospace industry in Malaysia. 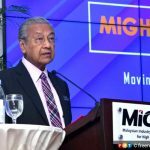 More importantly, the trend of international aerospace players outsourcing more work the players in the region coupled with the Malaysian government’s efforts to develop the industry bode well for its growth plan. Another recent example that occurred in August is the RM830mil deal the UMW Group clinched to manufacture and assemble aero engine fan cases for Royce-Rolls Ltd. The 25-year contract will see UMW making fan cases for Rolls-Royce’s Trent 1000 engines that power the Boeing 787 Dreamliner. According to an Airbus report, air traffic will grow at 4.6% per year for the next 20 years, requiring 32,6000 new passengers and dedicated freighter aircraft at a value of US$4.9 trillion. In the next 20 years, 40% of the demand from aircraft come from Asia. Globally, there are 38,000 aircraft worth US$5.3 trillion to be built. 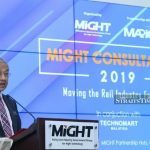 Malaysian Investment Development Authority (Mida) deputy CEO II Datuk Phang Ah Tong says because of that, many big boys in the aerospace industry are looking to shift their centres to Asia to cut cost and that presents opportunities for Malaysia, which sits strategically on the map. Because of that, local champions can provide aerospace parts and services throughout the whole value chain. The recent commodities rout which hit the oil and gas (O&G) industry had led to players in the ecosystem getting hurt as the number of jobs are slashed and the revenue pie is shrinking. Phang says some of the machinery makers for the O&G sector can transfer their know-how and diversify into the aerospace industry by collaborating with existing aerospace players. That’s because suppliers need to get quality standards certification and approvals from international agencies and their respective clients. Besides, the contracts in aerospace are usually long-term and that provides income stability for the players. Through these years, Mida has played an important role in grooming manufacturers. Phang notes that 25% of Malaysia’s gross domestic products is manufacturing and about half of that is made up by electric and electronics. Now, he hopes that aerospace component manufacturing will contribute to the growth of the manufacturing in Malaysia. It is one of the catalytic subsectors alongside electric and electronics, chemicals, machineries and equipment as well as medical devices. Phang says these areas are considered catalytic because other industries are making use of the products and services from these areas. The National Aerospace Blueprint was first launched in 1997 and the new one was launched this year. The blueprint outlines the various segments of the industry from maintenance, repair and overhaul (MRO); aerospace manufacturing; avionics and systems integration to aerospace training and education. Some of the ambitions set are: getting 5% of the global MRO market share, moving up to the higher tier in the global supply chain and achieving strategic technology advancement. Because of these aspirations, the Government has set out opportunities and incentives for global aerospace players to invest directly in Malaysia or to partner local firms to grow the industry. 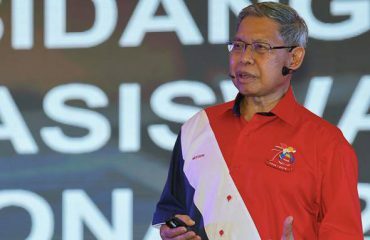 Malaysian Industry-Government Group for High Technology senior vice-president Datuk Kamarulzaman Zainal says the industry recorded RM11.8bil turnover, involving 159 companies and employed 19,500 people. 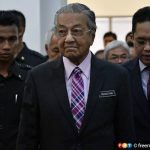 “Due to the technology involved, aerospace is always seen as the leading edge compared to other fields.Investment from domestic and foreign investors recorded RM642mil last year while exports from the industry achieved RM2.9bil. In terms of industry revenue contribution, MRO was the highest at 55%, followed by 33% of manufacturing and te remaining 12% others. Of the sub-segments, aerostructure manufacturing continues to be the fastest growing because Malaysia is involved in the lucrative narrow-body programmes, which are expected to have extensive sales and deliveries for years to come, he adds.